Our current topic is traditional tales and nursery rhymes. The children have been busy painting, drawing and writing for the wall displays. We have been reading Goldilocks and the Three Bears and our activities have been based around this them, including small, medium and large sizing, a bear hunt in the school grounds and junk modelling the 3 bears cottage. 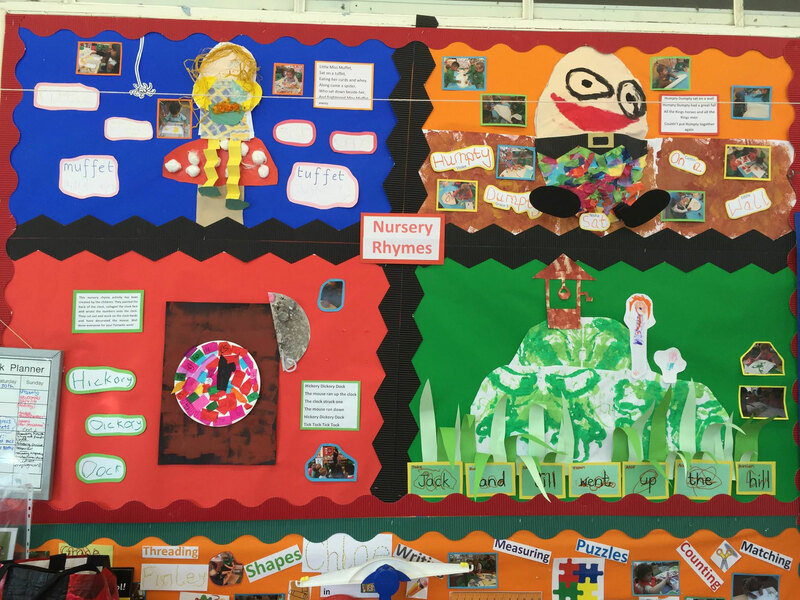 The children have enjoyed singing traditional rhymes such as Jack and Jill, Humpty Dumpty and Hickory Dickory Dock.